Jump-started by Girls Preparatory School in 2015, Mad, Bad, and Dangerous (aka MBD) has inspired hundreds of women and girls in the Chattanooga region to ditch expectations and start something! The innovative program is delivered through one-day summits, conference speakers, workshops, summer classes, 24-hour mentorship plus problem-solving and pitch sessions. Through MBD, women and girls can understand the power of entrepreneurship and believe in their ideas while learning how to put those ideas into action. 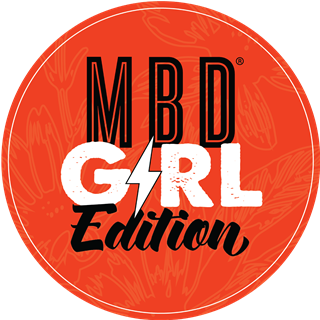 Our next event in Chattanooga is MBD: GIRL EDITION | 2018 HOLIDAY MARKETPLACE on DECEMBER 8. Click here for more information! The MBD: Girl Edition entrepreneurial conference is specially designed to encourage girls to become bold entrepreneurs—#girlpreneurs—and be mighty, brilliant, and determined. MBD programming is also available for other cities and organizations. Contact us for more information about BRINGING MBD TO YOUR TOWN. "It is great to see so many smiling women in one place who are chasing their dreams!" MBD: Girl Edition 2018 from Girls Preparatory School on Vimeo.